The BARkeep™ CO2 inflator from Portland Design Works puts a familiar spin on tire inflation with their Tap Handle™ flow control to keep your tires just how you like your pint glasses, always full. 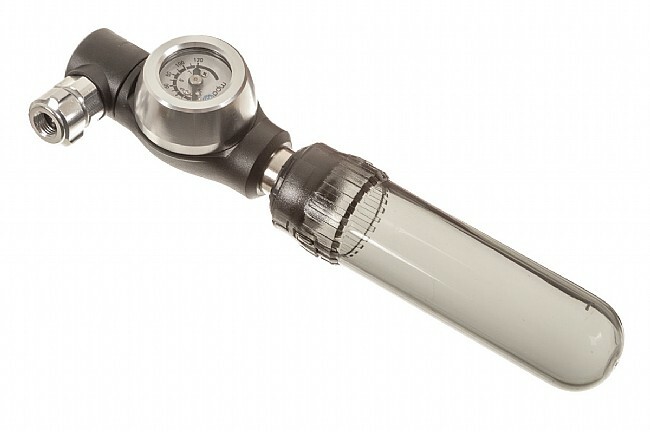 The alloy inflator head threads onto both Presta and Schrader valves, and an integrated pressure gauge works on its own to check levels as well as while you're inflating using a 16 g threaded CO2 cartridge so you don't overpour. 94 g claimed weight. 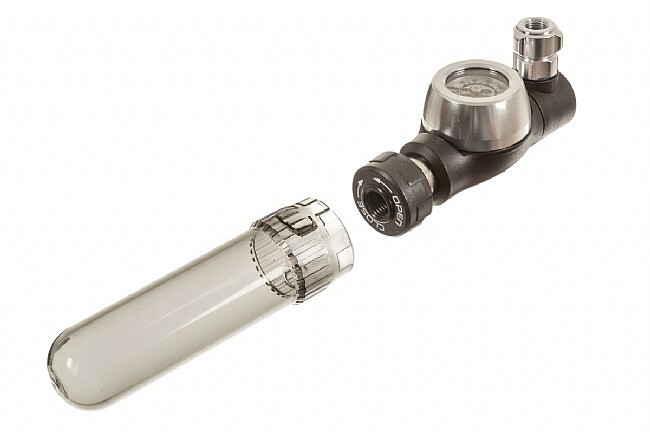 CO2 cartridge not included.